Editor's note: This is the 8th in a series of posts by Dennis Horne, sharing quotes from his book, Determining Doctrine: A Reference Guide for Evaluating Doctrinal Truth. You can read the first post here. The first part of each post is a new introduction, placing the quotes in context with contemporary issues. The quotes that then follow are from the Determinining Doctrine book, which contains many quotes that are not readily available elsewhere or are exclusive to the book. As forecast by President Clark, speaking for the First Presidency at Aspen Grove on August 8, 1938, the First Presidency has, after careful and mature deliberations, reached the following conclusions…. [In] teaching the principles of the Gospel as set out in the doctrines of the Church. In this work the teachers will use,—The Old and New Testaments; The Book of Mormon; The Doctrine and Covenants; The Pearl of Great Price. 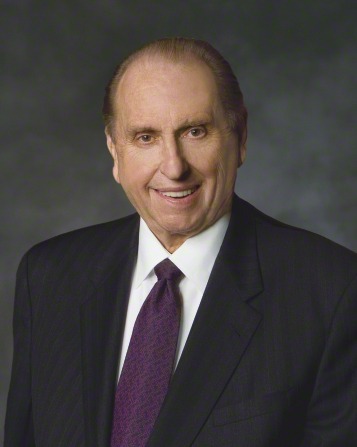 Here we must have in mind—must know—that only the President of the Church, the Presiding High Priest, is sustained as Prophet, Seer, and Revelator for the Church, and he alone has the right to receive revelations for the Church, either new or amendatory, or to give authoritative interpretations of scriptures that shall be binding on the Church, or change in any way the existing doctrines of the Church. He is God's sole mouthpiece on earth for The Church of Jesus Christ of Latter-day Saints, the only true Church. He alone may declare the mind and will of God to his people. No officer of any other church in the world has this high right and lofty prerogative. As many of you know, I recently appeared on the Larry King Live television program. I consented to do so because I felt that while there were possible hazards in it, there also was a great opportunity to speak to the world on issues before us. Never has there been a time when the written and spoken word can descend upon us from so many different sources. Through the media we find analysts analyzing the analysts, almost overwhelming us with opinions and different views. A revelation was given to the Church ninety years ago last February from which I have read during this conference, and I will read from it again. This revelation is to the Church of Jesus Christ of Latter-day Saints, or the elders in it. “Oh, hearken, ye elders of my church, and give an ear to the words which I shall speak unto you. “And this ye shall know assuredly that there is none other appointed unto you,” [Who? “my church,”] “to receive commandments and revelations until he be taken, if he abide in me. “And I give unto you that you may not be deceived, that you may know they are not of me. When Does the Prophet Speak as a Prophet?